A leaky roof or damaged shingles are typically the most obvious signs of roof damage. A professional roofing contractor can help identify the areas of your roof that need attention and determine the best plan of action. Whether you are looking to fix a damaged roof, upgrade the look of your home with new roof installation, or replace missing or broken shingles, the expert team of roofers at Goods Roofing Inc of Michigan can help. Our roofing services are available in and around the Greater Burton area. When a roofing contractor evaluates the condition of your roof, the primary concern will be the roofing shingles or other finish roofing material. But before deciding whether roof repair or new roof installation is right for you, there are some other areas of the roof details that should also be inspected. The roofing contractor should check the flashing around chimneys, vent stacks and skylights, as well as step and valley flashing. During a roof inspection, it’s also smart to inspect the glazing seals between the skylight glass and the aluminum glazing bars. Leaks in these areas can often be repaired with special sealant. Soffit vents and ridge vents rarely require maintenance or repair, but gable vents can give insects and rodents access to your attic if they are not properly screened. These vents may need to be inspected from inside your attic as well as from the house exterior. The functional condition of your roof is obviously your first priority. There are various reasons for a new roof, but many homeowners elect to have new roofing installed before the old roofing wears out, simply because a new roof can really upgrade a home's appearance. 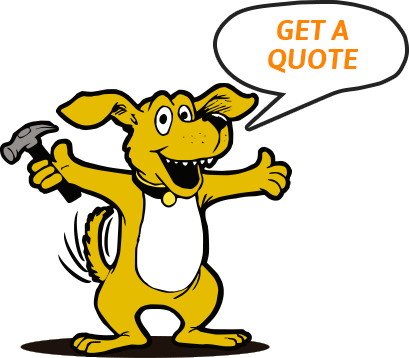 As experienced, professional Michigan roofing contractors, we can help you decide if roof replacement or installation makes sense for your needs and budget. The professionals at Goods Roofing Inc can assess the condition of your roof and determine any early signs of roof failure. Contact us today for a free cost estimate in MI, including Greater Burton and surrounding areas.